What does a typical work day in your life look like? 7:00 AM: Stop snoozing and drag myself out of bed, shower and read the morning paper. Scout the ads for any competitor ads and read the industry and competitor news in the papers. I am in the office by 9:30 AM. My day typically starts with email – I check to make sure that nothing is blowing up. If nothing is critical, I can move on to my plan for the day. I spend half an hour reading through the product sales reports and analyzing trends for the week versus historic trends. A quick “check in” meeting with my team members helps us discuss the day’s deliverables, deadlines and all pending projects and visits/meetings planned for the day. 11:00 am: I’m responsible for New Product Development (Innovation) Product Management and Strategy and Customer Experience for Retail Banking. Many banks have separate business units responsible for coming up with new ideas and making them happen. Our team does both. From innovation to execution, we take end to end ownership. Today’s first meeting is with the Consumer Insights team for a study we have commissioned for a new product where we discuss consumer trends, need gaps, business potential, competition offering etc. The day continues with a series of meetings with other teams like IT, Compliance, Risk – to assess the implementation plan and, execution challenges. 2:30 pm: I take a lunch break, catch up on my emails and respond to the ones that came in this morning. A quick team meeting and we discuss another new development we are working on, involving a bank account for the youth of today. It’s a very cool product that is ahead of the industry curve. We review the issue log from last month and any new issues that have emerged since. These are typically business requirement and workflow issues that may affect the path of the development. 4 pm: Meeting to interview a candidate for a position on my team. I manage 25 people and interviewing is a routine part of my job. This is followed by a review meeting with the top management team where I and my team present an update on the performance of the new product launches including sales figures and customer feedback. We also give an update on key initiatives and product launches which are in the anvil. Having cross-product knowledge is essential as we are going to market in a much more integrated way now, with a focus on building relationships that provide revenue opportunities for the whole of the bank. Which CFO do you admire the most and why? Lesson #2: As a leader you set the culture for the business and the right culture is a valuable and hard-to-replicate source of advantage. Lesson #3: There’s little progress without failure. Buffett has admitted many times that not only has he had plenty of failures, but that he wouldn’t have what he does if it wasn’t for the screw ups. Unsuccessful leaders avoid failure at all costs. The successful ones embrace it, learn from it and keep building. Lesson #4: Great things are built as a result of the combination of time and consistency towards a cause you deeply believe in. Find what you’re good at – what you want to build. Then put your head down and allow a lifetime to build it. 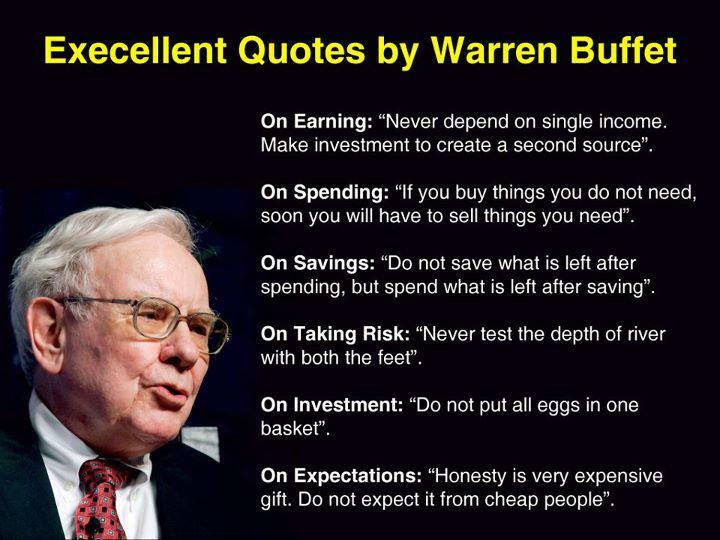 40 years ago Buffet wrote out 13 principles of what he wanted to create and how he wanted it run. He then built a culture that executed on that every day. Lesson #5: Go to bed a little wiser than when you woke up. Never stop learning and investing in yourself; always be open to new ideas, new skills and new challenges. What prompted you to choose a career in Finance and what motivates you to go to work everyday? Today’s banks are a whole new breed and I saw the world of banking as an exciting field that offered not just new and exciting products and services but also many diverse career opportunities. This sector is also increasingly getting competitive and organizations are working hard to attract and retain the best talent. So there were and are immense opportunities for growth, and responsibility and promotion can come very fast, perhaps more than in any other industry. Due to the rapidly changing nature of the finance industry, a job in any financial institution involves working in multiple and complex roles spanning business development, exploring new markets, products, technology, operations, IT, laws and regulations – while gaining a plethora of professional skills like dealing with people, to crunching numbers to customer relations to financial analysis, to strategic thinking to decision making. At the same time, there was an opportunity for me to work with and get mentored by experienced and highly motivated, dynamic leaders. Banking is the backbone of every economy and if you think of it, it relates to everyone, from a common man to a billionaire. In fact, “Shining India” or “Incredible India” would have been just a dream if there had been no banking or financial institutions to finance the infrastructure development in India. Unfortunately, there are still millions of Indians, especially in rural areas, who don’t have access to basic banking facility – as per Census 2011, only 58.7% of the country’s population has access to financial services. And hence, the government’s current focus is on ‘financial inclusion’ – i.e. ensuring universal access to a wide range of financial services at a reasonable cost. Hence, for me, being a part of this sector also meant being a part of this larger, inspiring vision of making banking available to more Indians. Just imagine, if everyone had access to ethical and practical banking facilities, then our average Indian farmer who feeds the nation wouldn’t have to impoverish himself by being a victim of vicious moneylenders! What motivates me to go to work everyday…Well, having spent more than 11 years in banking; I have witnessed the transformation of banking in India from a manual, scale-constrained to a modernized, technology-oriented industry. So it’s been a truly exciting journey! I wake up in the morning excited to come to work because I am proud of what I do, who we are and what we stand for as a Bank. And working at Axis bank, the one thing that’s stood out for me is how the Bank truly inculcates and fosters an enabling and inclusive culture. I’ve been fortunate to experience a myriad of changes and opportunities ranging from strategic changes around how we operate as a company to leadership changes leading to a renewed set of leadership behaviors and operating model. So it’s been refreshing and challenging at the same time, and I have grown both professionally and personally. One of my significant achievements has been that of setting up the Govt. Business Group in Axis Bank 11 years back which holds a leading position in the market today. As a founding member of this Team, I designed and developed CASA and transactional banking solutions resulting in acquisition of a large number of Govt. Clients across various segments. This also involved identifying and successfully implementing several new areas of business like Tax Collection business, Smart Card based Electronic Benefit Transfer (EBT) business for last mile Govt. Scheme Fund disbursements, etc. In my new role as Head – Retail Products, another milestone has been the successful launch of new products for retail liabilities, which have witnessed highest customer acquisition within Axis Bank till date and won Industry Awards. Even managing the Retail Liabilities portfolio with a suite of segmental and profitable products and increased market share has been exciting and successful. Think like an entrepreneur. Know that you own your career, and that nobody else is going to chart your path. Even if you feel like a cog in the middle of a big organization, you can run your career like a one-person business. Think about your brand, recognize who your customers and bosses are, and look for new ways to add value. Keep learning something new. 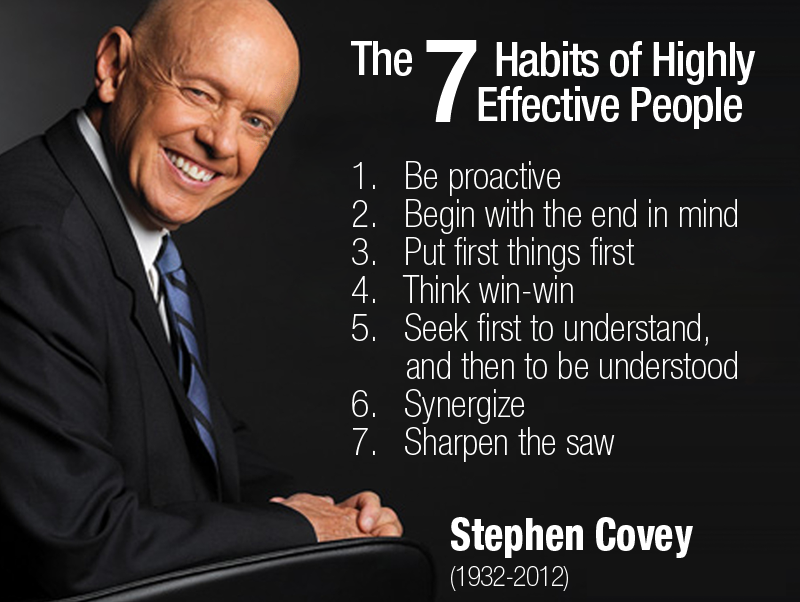 Author Stephen Covey in his book ‘The Seven Habits of Highly Effective People’ uses the common analogy of a woodcutter who is sawing for several days straight and is becoming less productive since the process of cutting dulls the blade. It’s best for him to stop and take some time to sharpen the saw, but the cutter feels he is ‘too busy’ to stop sawing. The same applies in our professional lives when we get so busy with daily routines, that we stop taking out the time to sharpen our saw, i.e. invest in ourselves. Don’t wait for your manager to send you to some training. It’s up to you to keep learning, add new skills, read an inspiring book, meet new people – keep renewing, reinventing and recharging yourself! Be curious. While it is important to try to understand the status quo, it is also important to challenge it. Get connected. Develop a strong network of positive relationships. Don’t wait until there’s a crisis, but start now to methodically extend your circle. Choose mentors and find ways to mentor others. Look for ways to support colleagues and know that they will be there to support you during your hard times. Be optimistic and positive. A starting point is to stop thinking so much about what goes wrong and start focusing on what goes right. Keep a journal and at the end of each day, write a few lines about what went well, and what you’re most grateful for in your current situation. At the same time, beware of grand success. Nothing breeds complacency quite like a string of successes. People often ask me how I’ve celebrated some of my achievements. The answer is I don’t. I move forward because I know I can do more! Do you think that an MBA is necessary to succeed as a Finance professional? As companies globalize and expand into newer businesses and geographies, what they need more and more are not functional experts but general managers who have a holistic and cross-functional perspective and can play the role of “mini-CEOs”. I think the best part about an MBA is that it introduces you to the different aspects a business has to deal with – whether it’s Strategy or HR or Finance or Operations or Sales. So I think an MBA helps not just to succeed as a Finance professional, but more importantly to succeed as a business professional or as you move into more senior, general management roles. My MBA also gave me the right direction and resources, and expedited my learning curve. On a lighter note, it also prepared me to deal with pressure and stringent deadlines, which are a part and parcel of every finance professional’s life! However, I also think that while an MBA definitely makes one better equipped with knowledge needed to succeed as a professional, it does not guarantee one’s success as a business professional – as success also depends on how well the individual applies and demonstrates critical skills and competencies like execution excellence, decision making, visionary/strategic thinking, agility, resilience, ability to lead, coach and motivate one’s team and that too in a complex and rapidly changing business environment – which is very different from an MBA classroom setting.